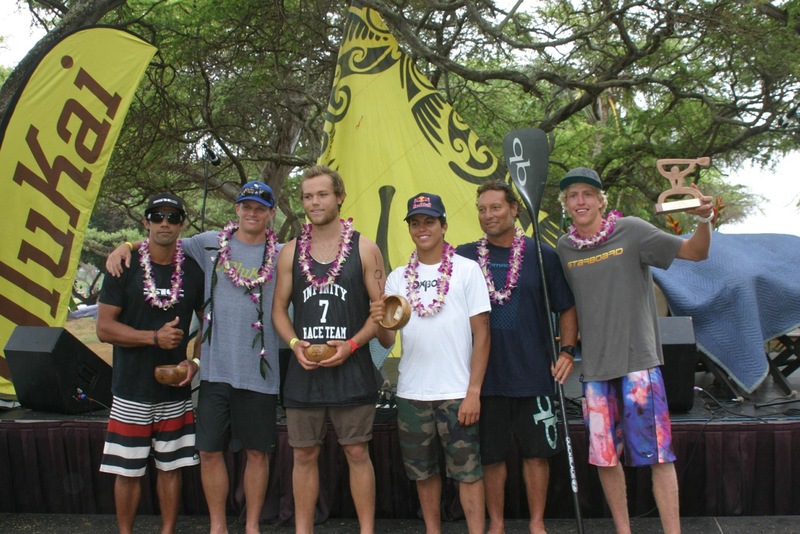 Connor Baxter Wins the Olukai Ho’olaule’a Event – and Defends his 2012 Title!! 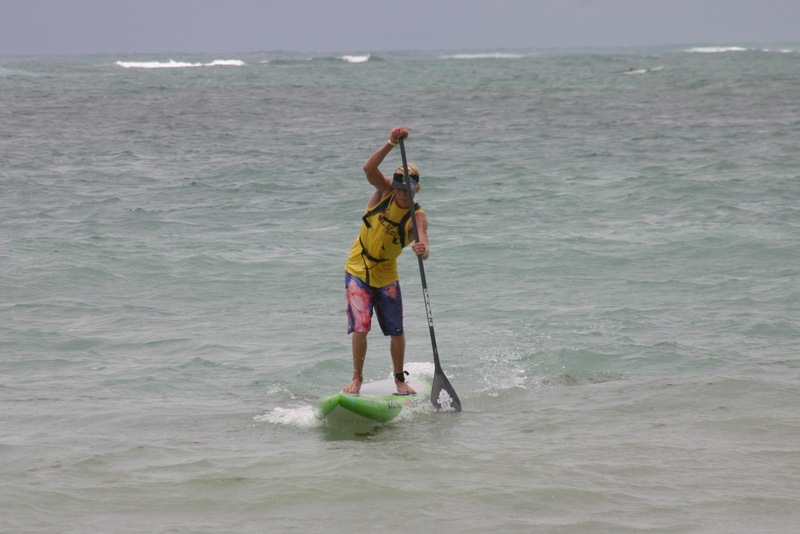 The Olukai Ho’olaule’a is a great event. 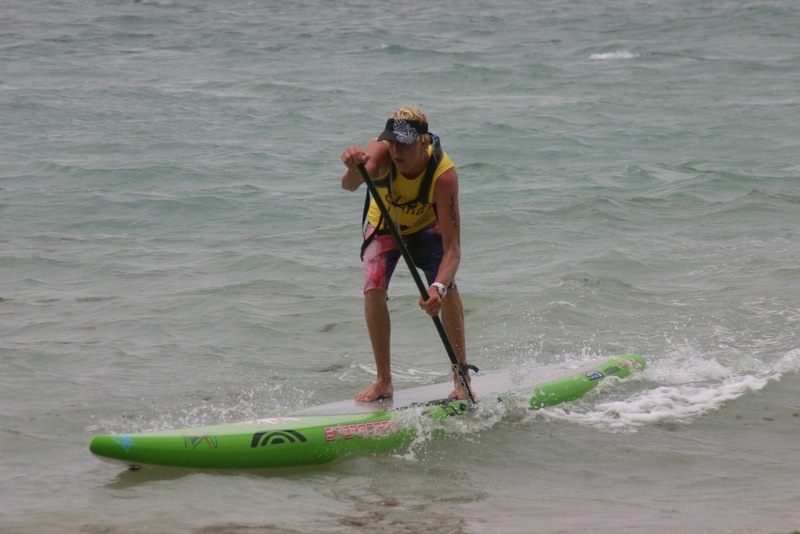 Every year paddlers look forward to competing at this event in the infamous Maliko downwinder. 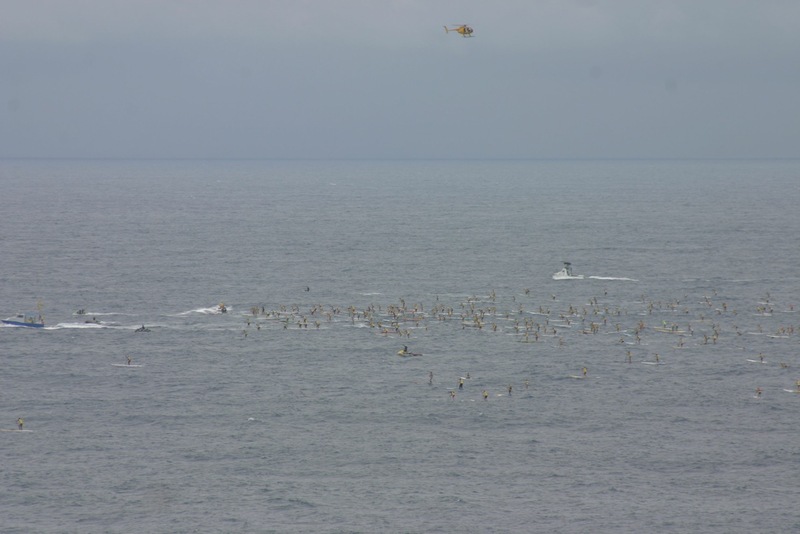 The day started out with rain and very light winds. But, when driving down along the north shore we could see that the wind was picking up and the rain had stopped – and there were a few whitecaps. It was looking like it was going to be a good day. Driving into Maliko Gulch, I knew there were going to be a bunch of people – there were cars parked all the way out to the highway – and it was only 10am. What a great turnout. Once we got there – I checked in and got my board ready. And, of course had to say hi to everyone. At 11:30 we had a pule, a Hawaiian prayer and then all 300+ of us hit the water for a 12:00 start. It was a water start on the outside of the bay. The wind was a little onshore so I decided to start further outside. Once we were all lined up on the water the boat waved a yellow flag so we got ready to race. And bam the green flag went up and I sprinted right from the beginning. 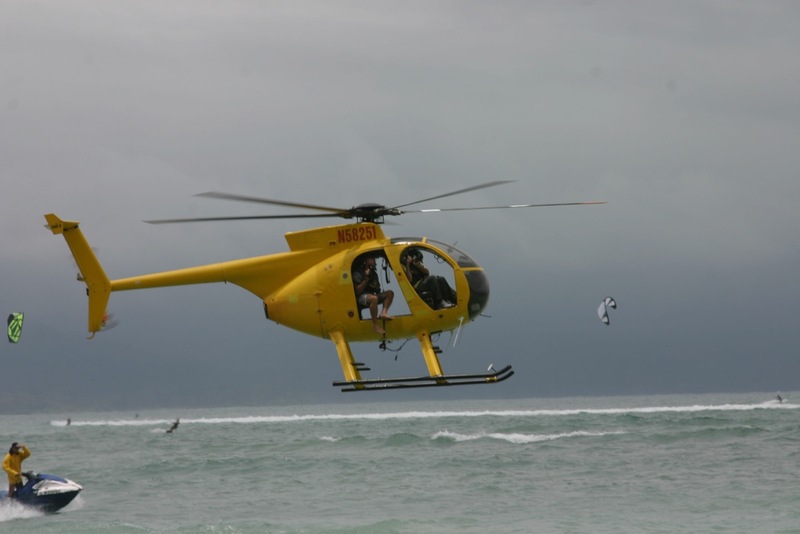 Dave Kalama and I pulled away right from the beginning and like always – were just trading off back and forth. Once we got to outer Baldwin I knew I had to put a gap on Dave. So I put my head down and I shifted into 6th gear and didn’t stop until I had a comfortable lead. Once I was a little ahead, I got into a steady rhythm and kept going. Coming into Camp One I was a little nervous, because I didn’t have a leash and there were waves. So I caught a medium size one and stepped to the tail and rode the wave to the inside. 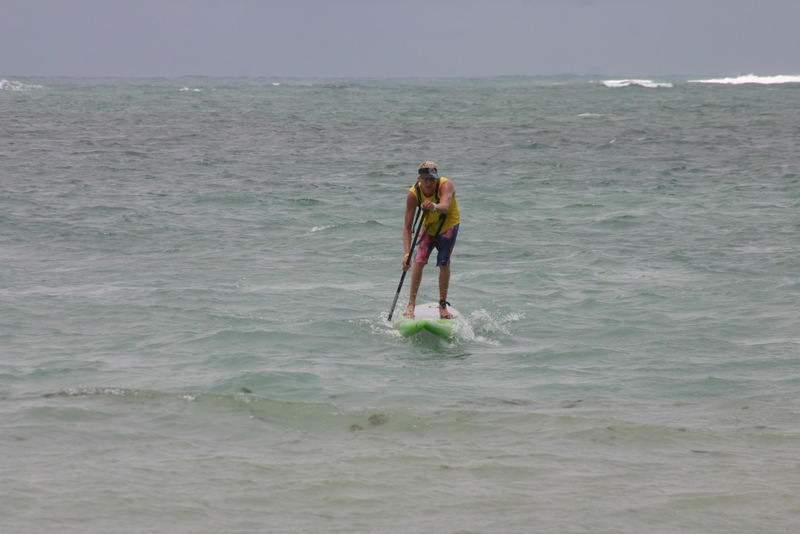 Once I hit the flat water I just kept my head down and sprinted all the way to the finish. I had a good lead of a minute and a half on Dave – and two and a half minutes on Kai in third place. I hit the beach and ran all the way to the finish line and spur of the moment I got a great idea to dolphin dive across the finish line – even though there was no one even close to me. Overall it was a great event and I had a lot of fun and really stoked to defend my title and hope to do it again next year! I want to thank my sponsors for all their support – Starboard, Maui Jim, Rainbow Sandals, Trident Sports, Rista Fins, Dakine, GoPro, OnIt Pro, Waterman’s Sunscreen, Igloo Coolers, Sunrite Maui, Hammer Nutrition, iDcard, EFX and Hi-Tech Sports. Also a big Mahalo to all the event organizers and volunteers. 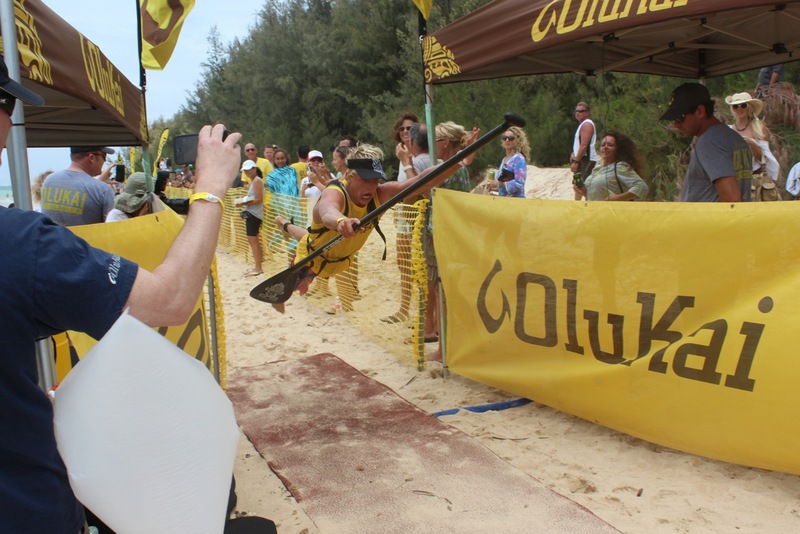 CONNOR BAXTER WINS THE OLUKAI HO’OLAULE’A EVENT!!! !